As much as we all love books, we know that there are times when one must pare-down … and we’re here to help soften that blow! Bring your gently read books into TBD and receive store credit! With over 15,000 books to choose from, you’ll have a hard time not filling the space you just made. Plus, you’ll be fostering accessible literacy with your book donation or trade-in … because we’re committed to affordable pricing and giving away more than one book for each one sold … and we can only do that with your support. Store credit can be used to purchase anything in the store and never expires. Just bring in your books and we’d love to make you an offer. 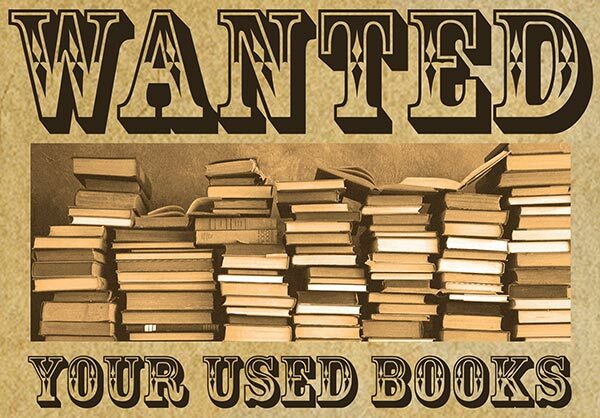 If you have a larger collection (over 100 books), please send us a message and we’d be happy to pick it up.